Your workday is our business. We dedicated ourselves to developing state-of-the-art medical scrubs for men that don’t sacrifice style for practicality. The best men's scrubs for function and fashion. We developed cutting-edge, patented stretch scrub fabric to make the most comfortable men’s scrubs on the market. 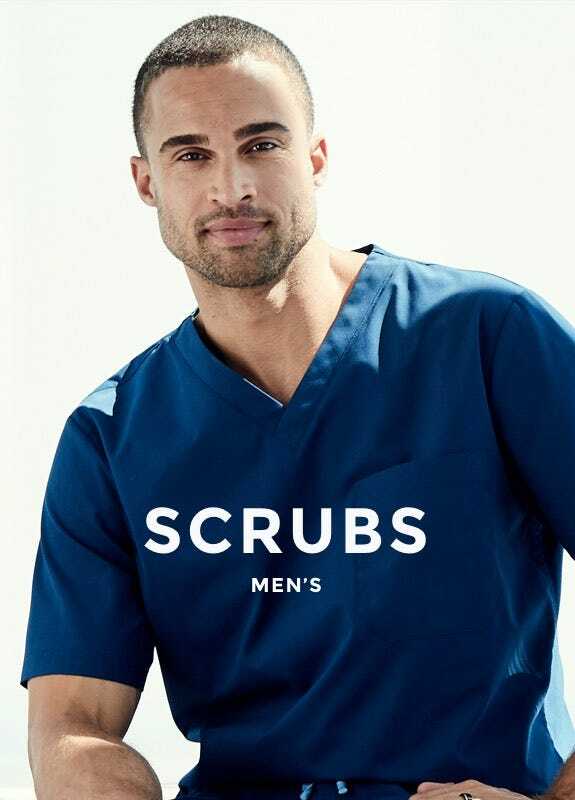 Men looking for stylish, high-end male scrubs will appreciate our Modern Fit, which are slightly tapered men’s scrubs in a relaxed fit; The pants fit like your favorite pair of slacks, while the scrub top fits like a premium woven shirt. Those in search of a more form-fitting option will find it in our new Stretch men’s scrubs, which are athletic fit scrubs featuring slim fit scrub pants with a comfortable stretch.